When me and Micke Moberg of MiMo Sounds worked with Dear Louise the arrangement and sound of the song became more and more aggressive. Better and higher, more and more intense. But somewhere along the way the music lost the connection to the lyric. So we decided to make two songs. Dear Louise was published 5 weeks ago close to it's demo form, soft, slow and thoughtful. And the Dear Louise offspring called Sugar Daddy is out now. 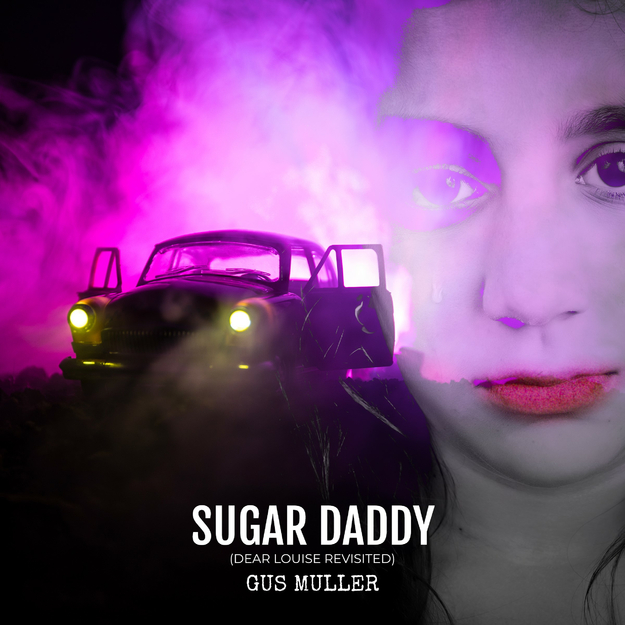 For Sugar Daddy we went all the way to aggressive and dynamic for the basic slow and nuanced Dear Louise song. That's why Sugar Daddy carries the sub title "Dear Louise Revisited", cause it is. But I decided that it needed a new lyric that better suited the music. And while we were at it I went for a new melody to, but the basics are the same. And as always, we try to keep the sound authentic and original. No autotunes used here! I'v had a lyric I wanted to write for some time now. And with what would become Sugar Daddy we had the place for it. The lyric is about pretty little girls. You know sweet adorable little girls growing up to breathtaking young women. And all the time they get a fair share of attention for their looks. We men will make sure that happens, right? And of course it´s easy for the girls to believe that looking good is all it takes. I would guess that it certainly feels that way for them. And there will be men buzzing around them all the time. Men with age, money and a reputation. I´v seen it happen to young girls around me. Year after year. But it's unfortunate. Life will demand more of them and when the beauty fades with time, they need more than their looks. So this song is a call to all these young breathtaking women to prepare for life... after beauty. Get an education, make yourself some real friends, get yourself a plan, prepare for head-winds. ....and of course, avoid Sugar Daddys. Of course. Well this became the song "Sugar Daddy". Hope you'll like it!